Donald Macleod explores Copland's return to New York in the 1930s, where he made his name, and established his own individual style as America struggled through the depression. 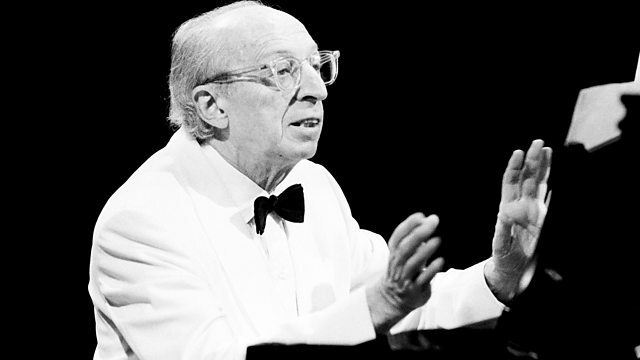 Aaron Copland is the composer who, more than any other, defined the sound of American classical music. Copland's life spanned every decade of the 20th Century, and this week Donald Macleod explores the composer's life and music against the background of the events of that Century. In this episode, Copland returns to his home town of New York, where he made his name during the early 1930s. It was there he established his own individual style and a truly American sound in music, as the US struggled through the depression. Performer: Orchestra of St. Luke’s. Conductor: Dennis Russell Davies.